Home inspectors are often asked by potential home buyers whether or not a home inspection is really needed on new construction. The quality of new home construction varies greatly depending upon the price of the home and its location, but in general the quality and attention to detail has gone down over the years. 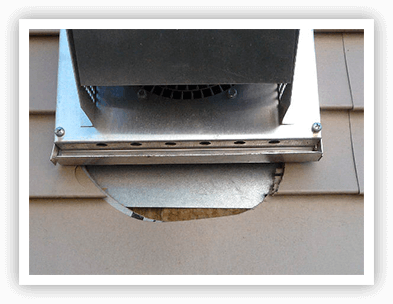 Some of the issues uncovered in a home inspection are major structural defects while others such as seen in the photo below, are situations where a tradesperson tries to do something outside of their field, in this case an HVAC person decided he / she could do the finishing work where the furnace flue pipe past through the exterior wall of the house. That’s exposed OSB (Oriented Strand Board) sheathing under the metal, without corrective action, water will get into the wall and will allow rot, mold and insect problems to develop. Many people often ask, “do I need a home inspection on new construction?” If prospective new homebuyers had the opportunity to accompany home inspectors on new home construction inspections, this question would never come up. Most people are under the impression that governmental officials are overseeing the construction process or that the bank or mortgage company officials are making sure the house is okay. This is not the case. 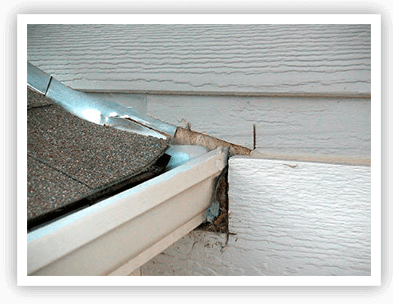 Talk to any home inspector who inspects new homes and they will tell you that they find numerous faults and defects. Many of the issues uncovered are small problems, however, if not found and corrected in time, turn into major problems. The photo below shows such a case. The person who installed the roof gutters apparently couldn’t wait for the siding person, so he installed the gutter right up against the unprotected OSB sheathing. If this situation had not been caught, the new home owner would have had a water infiltration problem. Since this home was one of many built in a sub division (a North Denver suburb,) this problem may likely be duplicated at other homes in the development. Often times prospective buyers of new house construction ask home inspectors “do I really need an inspection for a new house”? The photo below shows one of many examples of problem issues found in newly constructed houses. 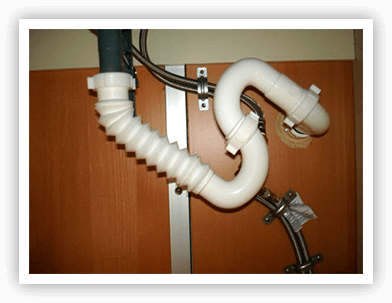 An improperly installed drain line / trap could allow sewage gas to seep into the room. 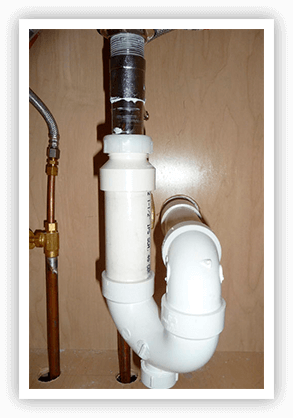 A properly installed plumbing trap should look like this. Photo taken by Dennis Robitaille of Able Home Inspection.